Two movies, ten years apart, one friendly neighborhood Spider-Man. Both were preceded by teasers which didn’t quite hit as intended. Sam Raimi’s independent mini-story containing all original footage that wouldn’t be seen in the film was understandably shelved after 9/11 due to a final shot of a baddie helicopter ensnared in a web between the World Trade Center towers. Meanwhile, Marc Webb’s first peak into his Spidey universe was criticized for an over-serious tone, origin story fatigue and underwhelming “MADE FOR 3D” first person perspective sequence. But let’s focus on the big trailers… the one that in 2001 proved to give us the most accurate look at 2002’s film and whose modern-day counterpart will hopefully do the same for July’s Amazing adventure. 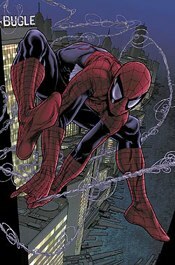 The biggest difference upon watching both back to back is how differently Peter Parker is handled. Toby Maguire is an affable goofball who is gaining a sense of purpose by way of his powers. Oozing likability, Raimi gives him the trappings of a nerd (glasses, ill-fitting clothing, square hair cut) but aside from an awkward pass at Kirsten Dunst’s Mary Jane Watson, we don’t see much of that evidenced in his character. Even the Parker narration over the first minute of the trailer has a “Holy Moly, you wouldn’t believe what’s happened over the last few weeks” tone. 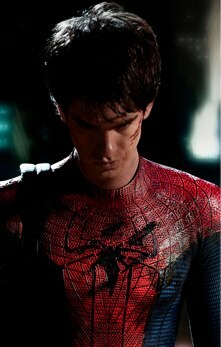 Compare that to Andrew Garfield’s far more brooding, introspective Parker. We skip the “spider bite shot” and get right into web swinging action. 20 seconds into the trailer, Parker is inventing his web shooters. A few seconds after that he’s defending Spider-Man in a heated conversation. If there were a character narration over this trailer, one might assume it would sound much more like a Captain’s Log. He knows he’s smart and draws strength from that when dealing with others. His weakness comes for abandonment issues which makes him quiet, but not necessarily unsure of himself. In a word, the difference is confidence. The Maguire’s Parker never truly understood his powers and was constantly struggling to make sense of them. Garfield’s version appears to look at them more like an experiment. He’s not afraid to push them past their limits and doesn’t view them as a reflection on himself. Our new Peter Parker seems determined to make his mark on the word through science. His new abilities just give him another tool to do it. Legend has it that this caterpillar used to be a journalist, a good one too. If it weren’t for that one story about the Sin Eater he could have been Bob Woodward. But no, he was fed some bad information and revealed to be a fraud by Spider-Man. 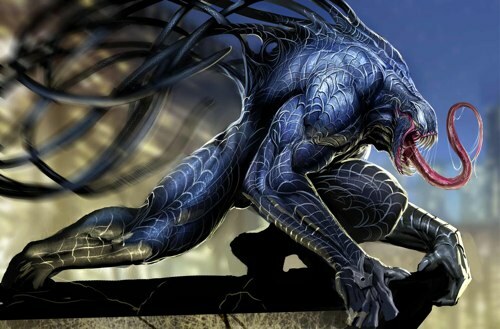 Dejected and suicidal, he went to pray for The Lord’s Salvation when he was bonded with The Symbiote giving him powers equal to Spider-Man and a pathway to the true revenge he’d always sought. Or it’s just an awesome picture taken by photographer Igor Siwanowicz. Listen kids. If you are reading this and you only know of Peter Parker and Spider-man because of the Sam Raimi films, let me break something to you. Peter Parker didn’t start shooting webs out of his wrists as part of an overnight biological evolution after being bit by a radioactive arachnid. That’s just Hollywood fantasy. The real story is that the brainy Parker, having already woken up with super strength, agility and uncanny Spider Sense decided to augment his new natural gifts with his own scientific concoction. A sticky, strong, spider silk-esqe substance which he then shot out of home made mechanical dispensers triggered by a specific hand gesture. 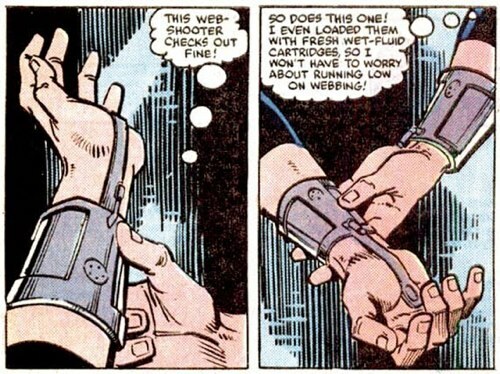 The mechanical web shooters reinforces a key element of the Spider-man mythos. Peter Parker is a socially awkward kid because he’s a genius level science nerd. This matters! This is important! Yes! I am still furious about this 9 years after the first Spider-man movie came out! Also, 50 years after the character was created scientists have finally caught up with Peter Parker and recreated spider silk by transferring key spider genes into silkworms which are far easier to farm the substance out of. 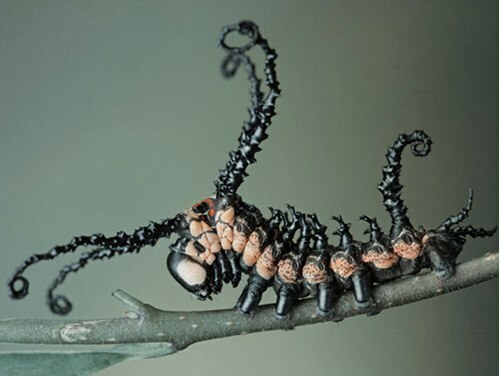 So they worked out a way to transfer the key spider genes responsible for the strong thread making into the silkworm. The silk could be used in many medical applications including artificial ligaments and tendons, as well as tough wound dressings. It is also said to be strong enough that it could be used as a new material in manufacturing bulletproof vests. Or shooting Mysterio in the face so you can make fun of his helmet. According to researchers, this stuff is the strong enough to swing-patrol the streets of New York City and durable enough to slam the Green Goblin into a midtown high rise, glider and all. We told you last week about a possible new therapy hoping to regrow body parts. 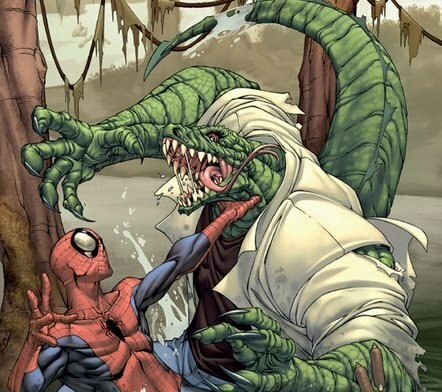 Unlike the ill-fated research of Dr. Curt Connors, it does not use the DNA of an animal that naturally regrows limbs so the likelihood of the recipient turning into a giant lizard and forcing Spider-man to do a backflip whilst saying something glib… is unlikely. But that was that therapy. This therapy makes none of the same boring promises. Scientists are regrowing mouse limbs with newt and salamander DNA and humans could be next. Not noted in the story is that lightning struck right after she called mammals pathetic. The unsolved puzzle to limb regeneration is apparently the rampant cancer that unchecked cell replication can kick start. Mouse trials have utilized two tumor-suppressing proteins to keep that mess in check. Peter Parker, it’s time you came face to face with… The Newt. Thanks to Weird Things reader Dan Wheeler for passing this along. You are currently browsing the archives for the Spider-man category.